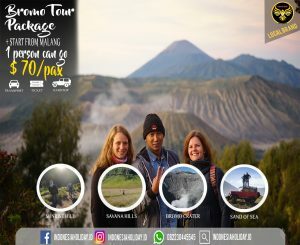 Indonesiaholiday.id is a tour local provider that offers a short trip to mount bromo or one-day tour by a pickup at 12 o’clock at midnight from Malang Airport Abdurahman Saleh / Train Station Malang / Hotel Malang / Terminal Arjosari arround Malang City continued 3 hours driving to Basecamp bromo. Then change the vehicle by using 4WD Jeep and direct toward to Mount Penanjakan sunrise or Kingkong Hills to see the beauty of sunrise. Afterward, continue to Sand of Sea (lautan pasir) and Bromo crater. To reach Bromo Crater you can go by foot or rent a horse. After explore the beautiful of Bromo crater and surrounding, back to vehicle Jeep , back to base camp bromo and drive back to Surabaya or Malang and the tour is finished. Pick you up at Malang City (Airport, Train Station or from hotel) to start our journey for Bromo Midnight Tour. Then drive to Base Camp Bromo in Wonokitri Village, the nearest place to see Mount Bromo and sand of sea. The journey is around 3 hours. Arrive in Mount Bromo Area, check in Hotel and free program. Bromo Tour starts at 3.15 am our driver will take you to see the stunning of Bromo sunrise from Mount Penanjakan 1 sunrise by using Jeep 4 WD. Enjoy the beauty of Sunrise and surrounding. In the background, you will see the beauty of Mt Semeru and Mount Bromo, Mount Batok and Bromo Milky Way.  After that, driver will be drive back to Bromo crater trough sea of sand and by foot or rent a horse to the summit of Bromo crater. The trips around 30 minutes. After explore the beautiful of Bromo Craters, back to 4WD Jeep parking area and go to savana hills. After exploring bromo, back to base camp for Having breakfast, showering and a short break. After packing and check out hotel then drive you back to Malang City (Airport/Hotel/Train Station) and the tour finished.